During the holidays, I had a couple of conversations on the difference between “sell side” and “buy side” perspectives from industry players. Now, if I asked the question, which side are the above statements coming from? The answer is easy; they are all sell side statements originating from SaaS vendors. How many customers would ask for any of this stuff? Richer user experience – SaaS apps bring Web 2.0 usability to the enterprise world through rich internet applications using Adobe Air, HTML 5, Microsoft Silverlight, and other tools. Around the same time I read this entartaining post from Martjin Linssen who suggests that having to download Silverlight to use the Cloud was a big no no in SaaS terms. Coincidentally, just before Christmas I’d been having another twitter conversation, this time with Gary Turner on whether a smart client, in this case a particular RIA that is found in the on-line game World of Warcraft (hence the picture) could be classed as a SaaS application? 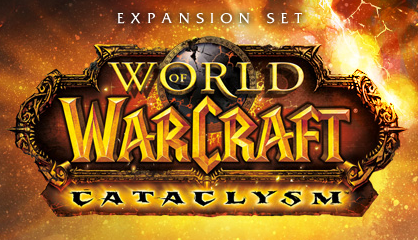 Despite a hefty initial download WoW runs in a web browser and connects millions of users (12 million to be precise) to a farm of servers (some of the most powerful machines in the world) in the Cloud? At the end of the day to the 12 million players of WoW, you might ask does it really matter? as long as the experience they get makes the gameplay enjoyable… and the more entranced in the game they are, the happier the vendor (Blizzard Entertainment) $$$ kerching. Next postSaaS and Cloud… one in the same or completely different?? ?